Rye Farm01206 734350work01206 734370fax FarmhouseRye Farm is the place to come for a quiet relaxing break. All rooms have en-suite facilities and are comfortably furnished. Our guests always enjoy a traditional farm house breakfast. 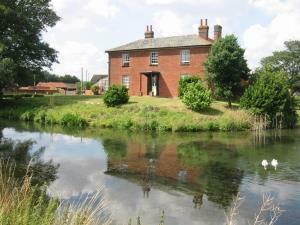 We are in a rural location, yet only 4 miles from Colchester Town, which has many historic places of interest. The coastal towns are only 30 minutes drive away. Stansted airport and Harwich Port both 50 minutes. We are conveniently situated for visiting Colchester Zoo, Mersea Island, Layer Marney Tower and Beth Chatto Gardens. Rye Farm is the place to come for a quiet relaxing break. All rooms have en-suite facilities and are comfortably furnished. Our guests always enjoy a traditional farm house breakfast. You won't be disappointed if you choose to stay at Rye Farm. Leave the A12 at junction 26 signposted Colchester West/Stanway/Zoo. Follow the signs to the Zoo, pass the Zoo on your right and at the next roundabout, follow the Layer B1026 signs, which will bring you into the centre of the village. At the Fox Tavern, turn left into Malting Green Road, 300 yards on the right there is a turning signposted 'Rye Farm'. Follow the lane all the way to the end. For more info please see website.